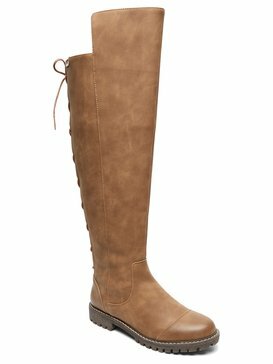 There is one wardrobe word that always seems to get every woman equally excited: boots. 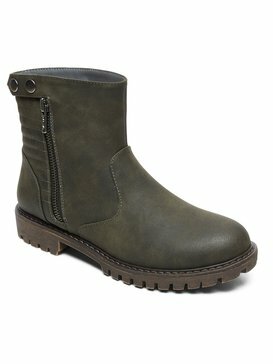 Why do we love women’s boots so much? It’s probably because they’re stylish, flattering, and they make any outfit seem ten times more put together than it actually is. 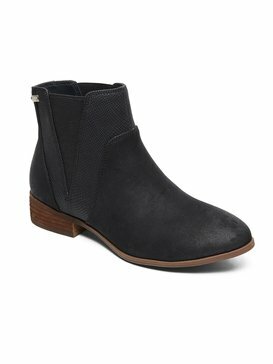 At ROXY, we share your boots obsession and we have designed a collection of boots for women that will keep your feet looking classy any season of the year. We enjoy being able to dress you in footwear that not only gives you a little boost in height, but a boost in confidence as well. When you step into our boots for women, we want you to be motivated to go the distance and seize every opportunity that presents itself during the day, whether that means taking on some new challenges at work, or exploring a new place you’ve never been before. 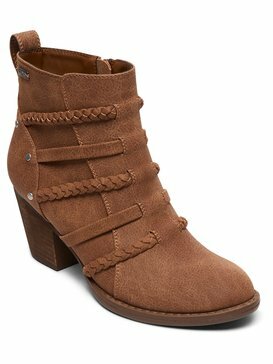 Wherever you’re going in life, ROXY has the perfect pair of women’s boots to get you there. 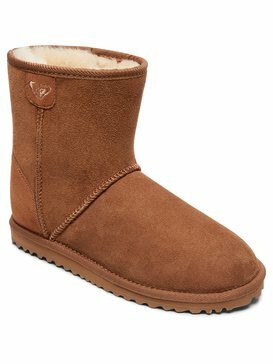 There is no shortage of style options when it comes to ROXY’s collection of boots for women. 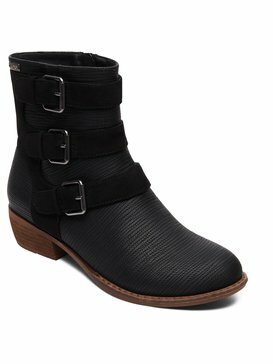 We believe that every woman should be able to rock the pair of boots that she feels best in, which is why our collection of women’s boots includes a wide variety of designs that complement a range of styles and scenarios. 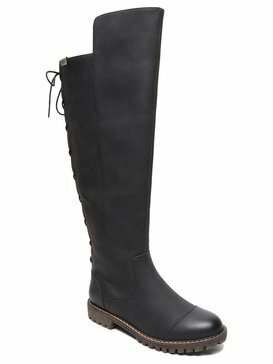 Put your best foot forward at work or out on the town when you choose to wear a pair of our women’s fashion boots. 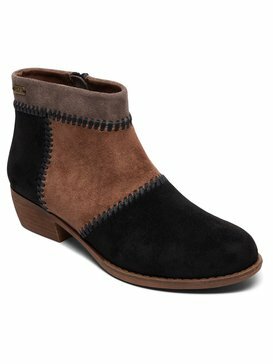 Similarly, a pair of our women’s dress boots can equally class-up any occasion and keep you looking polished and put together. 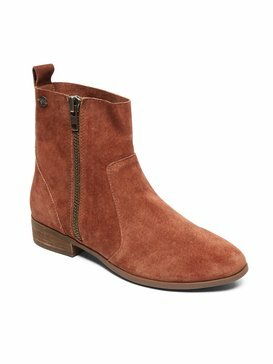 Step up your street style by rocking a pair of our women’s leather boots or women’s knee boots, or opt to keep your look casual in a pair of women’s ankle boots. 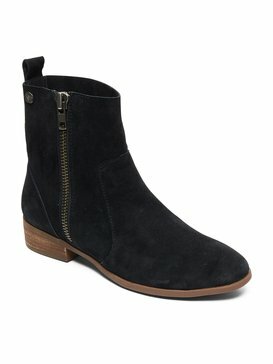 Ankle boots and booties are our most popular boot style because they are very versatile styles. 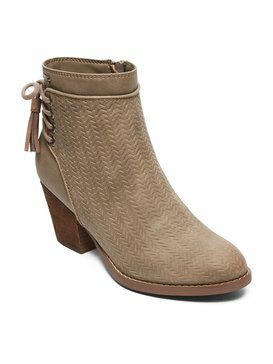 Booties can be worn with pants, dresses, skirts, and even shorts! 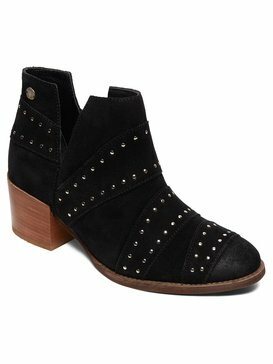 Step into a pair of black booties to give your outfit a little edge, or wear a pair of brown booties for a more laid back,casual or summery style. 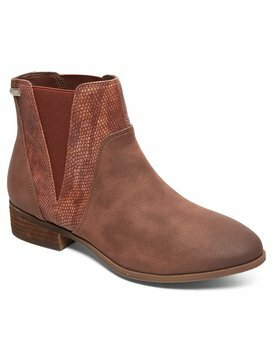 Whatever your boot personality is, ROXY has a pair (or several) that will keep you looking your best every step of the way. ROXY knows that quality boots for women aren’t limited only to fashion footwear. 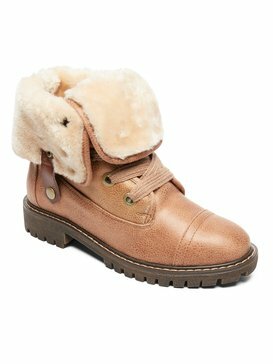 We include a selection of women’s winter boots and women’s rain boots in our collection of women’s boots because we know that you like to lead an adventurous lifestyle and you need boots that can keep up with your seasonal activities. 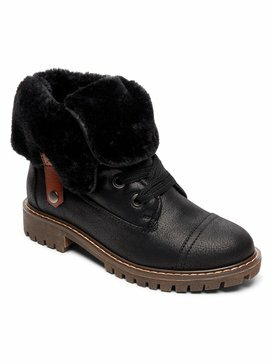 Our winter boots are durable and made with materials that will keep your feet insulated and protected from the cold. 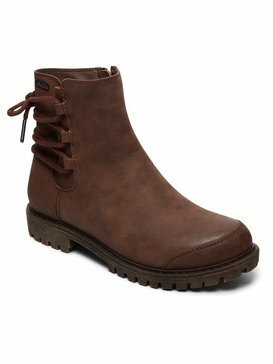 Most of them are lace up boots which makes it easy to adjust how they fit and accommodate greater or fewer layer of socks as needed. 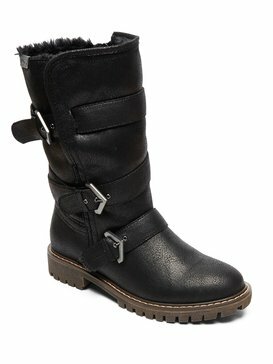 Our winter boots for women allow you to set out on your next cold weather excursion with the confidence and comfort that you need to fully enjoy every step of your journey. 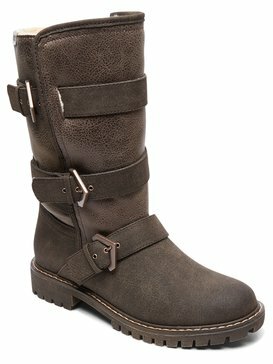 We’ve done all the work to create high quality women’s boots that are capable of keeping up with your lifestyle, now all you have to do is decide where they will take you. 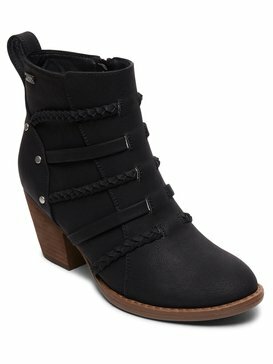 Are you already dreaming of the women’s boots you want to wear? 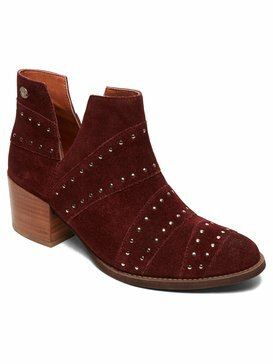 Turn your dreams into a reality by making your way to ROXY’s online store to browse our full collection of boots for women and buy the styles that you love the most. 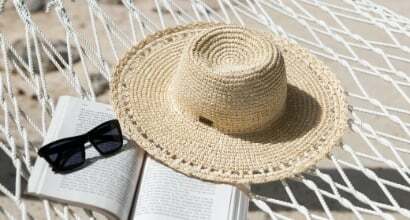 You’ll love being able to sort through the styles and find the perfect pairs for all of your upcoming activities. 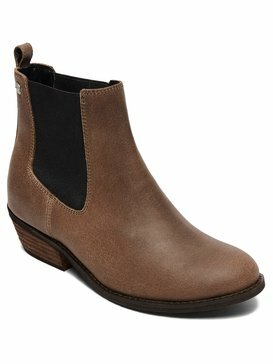 Are you new to boot buying? Or maybe you are just wondering more about what styles would be the right fit for you. 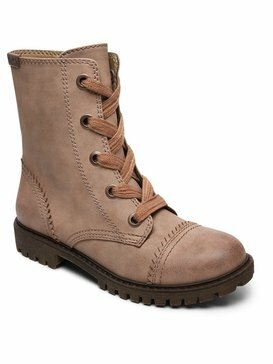 Either way, you can feel free to reach out to our free customer service helpline via live chat, phone, or email, while you shop so that you can get the answers and information you need to easily select the best pairs of boots for you.